Wind Skip is a Rachio Weather Intelligence feature that prevents waste by not watering when wind speeds are too high. This is because strong winds are likely to disperse the water intended for your plants and leave your vegetation thirsty. If high wind speeds are expected to exceed your pre-determined threshold at your schedule start time, your schedule will be skipped. 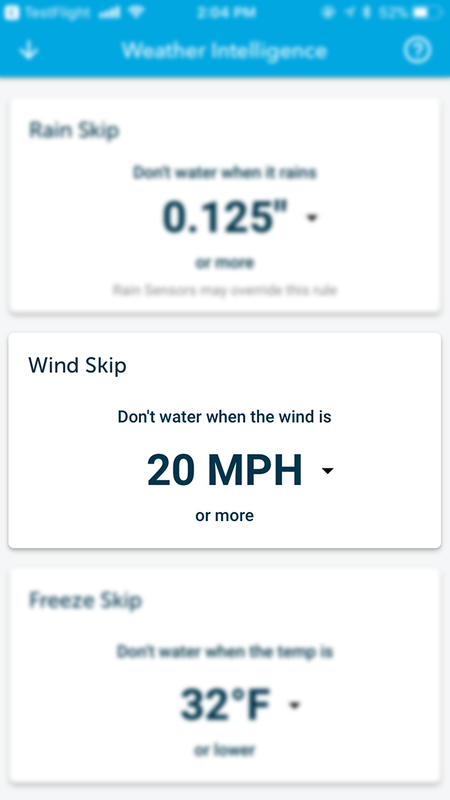 Want to learn more about Wind Skip and Rachio Weather Intelligence? Watch the video below for more!